1. 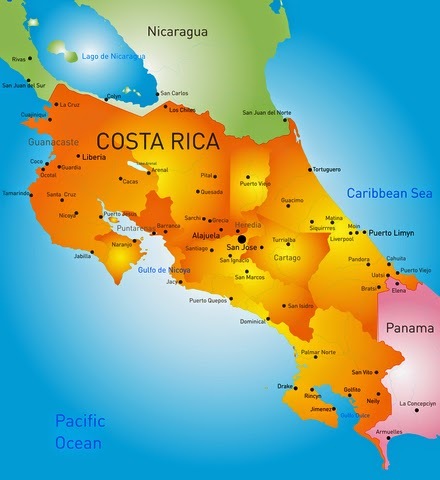 How can a patient in the U.S. research dentists in Costa Rica? 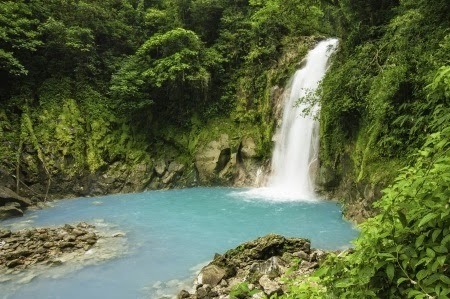 The best way to research CR dentists is to make a fact-finding trip to Costa Rica specifically for that purpose. If you find your "perfect" dentist, there might be time to start your dental work on the same trip. But for many clinics, and especially the specialty clinics, there will be a waiting list and you will have to wait for another trip to start your dental work. To avoid the expense of such a fact-finding trip, many US patients try to research dentists remotely. Many CR dentists will make themselves available for phone consults with likely patients, and will even provide some treatment plans based on x-rays and photos sent by the patient. An important part of research is to contact former patients of the clinics you're considering. Many US patients neglect this step, which I think is a mistake. 2. What are the signs of a great dentist? 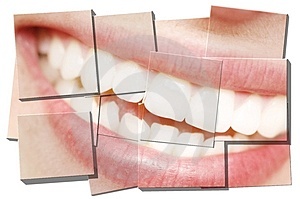 Problems with dental work are quite common and are not necessarily a reflection on the quality of the dentist. (1) Did the dentist spend enough time on the tasks, or was he rushed? In my opinion, 70% of dental problems stem from haste on the part of either the dentist or his lab technicians, who make the crowns and bridges. (2) In the case of problems--which are common in complicated procedures--how did the dentist handle it? Did he make himself easily available for follow-up questions, or did he hide from unsatisfied patients? Did he offer to re-do unsatisfactory work, or did he merely cut the patient loose? Of course, it goes without saying that the dentist's formal training counts for a lot. 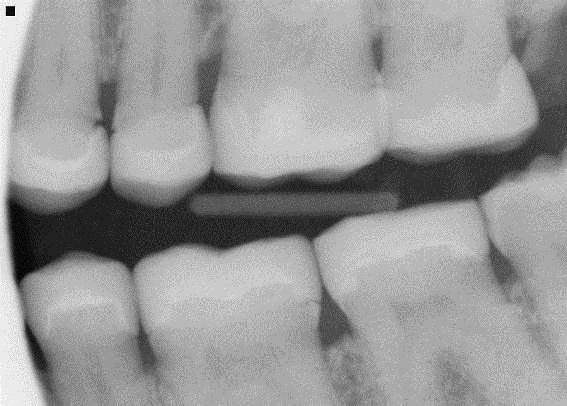 This is sometimes a problem with some general dentists, in CR or the US, attempting procedures like implants for which they have received little training. If this is the problem, then it will become evident as a follow-up issue in (2): The dentist will typically be unwilling to help the patient and may attempt to blame problems on factors other than his own skill. Charges of this type are not credible if coming from a dentist whose CV lacks relevant education or who does not have testimonials from many happy patients with the same procedure. 3. Do I need to check the references of a "general dentist" (a dentist without a graduate degree after the DDS degree)? Yes! I urge you to personally talk with or email about five patients who have had procedures as complicated as the ones you're contemplating. It takes some time to do this, but it's well worth it. It will weed out the mediocre clinics that you want to avoid. 4. Do I need to check the references of a "specialist" (a dentist with a graduate degree after the DDS degree)? A. In my opinion, it's less necessary than in the case of general dentists. Most US-trained specialists won't give you as many references as the general dentists, nor should they be expected to. The fact that they graduated from their specialty programs counts as several references. Despite this, I think you owe it to yourself to talk to at least one or two patients. I have less personal experience with non-U.S. trained specialists. I would probably ask for a few more references, though, just to be safe. 5. Do I need to check out references of dentists recommended on your blog? Regarding my "Internet favorites," I don't have much personal information about these dentists. You should research them yourself, though I would expect favorable testimonials. Even for "Dave's faves," I would urge you to check references. Things change at dental clinics, and you want early warning of any unfavorable changes. And talking with patients is the best way to learn about the quirks of the clinic. So you owe it to yourself to talk with patients of any CR clinic. 6. I'm considering a certain general dentist in CR. He says that it's unreasonable to ask for five references from patients who had complicated procedures. Why do I need so many references for a general dentist? Good question! Now let me ask you a question. This dental clinic you're considering sees hundreds of patients every year. And out of all these hundreds of patients, the clinic can't find half a dozen that speak English and are willing to vouch for the dentist. Does that seem reasonable to you? 7. Which kind of patients make the most informative references? Patients who had their dental treatment at least six months--or preferably one year--earlier. Problems in workmanship rarely show up immediately, but often show up within a year. 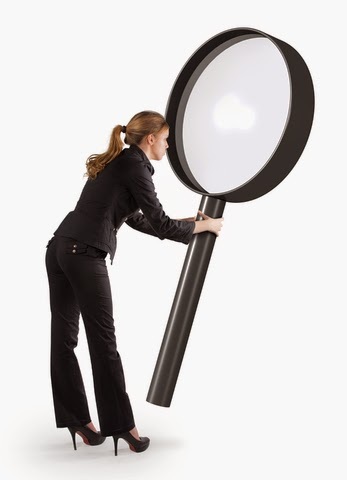 Keep in mind that many patients that are not particularly astute or knowledgeable observers. 8. What is the "honeymoon effect"? This is my term for the period immediately after a patient gets dental work in CR. Typically, the patient is overjoyed with the work, the dentist, the clinic, the climate, the sites, etc., etc., etc. It's a normal reaction for getting through a psychologically trying experience, which includes most medical tourism adventures. Importantly, this is also too soon for most problems to show up. When talking with references, I try to discount patients who completed their dental work in the past month. Get their contact information and check back with them a few months later. 9. I'm looking for a dentist with a perfect record. Do you know of any? 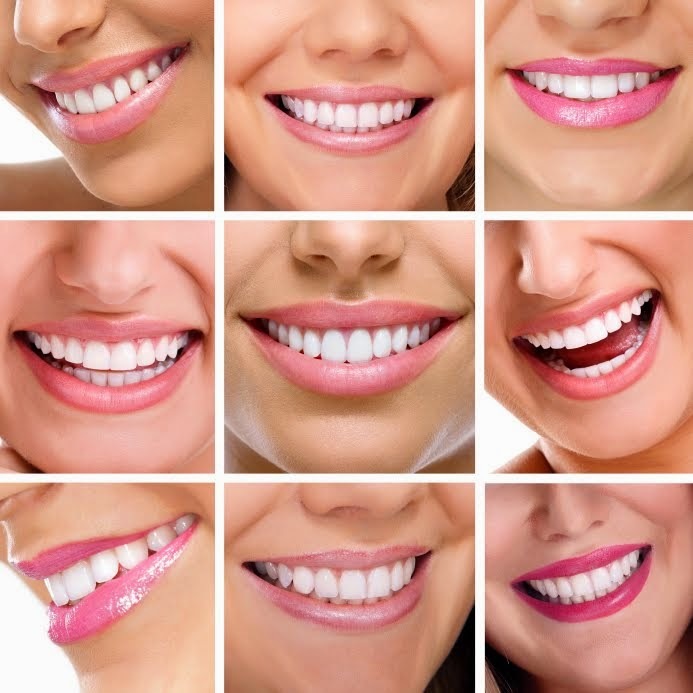 If you are looking for dental perfection, you will be looking a long time. I don't know any dentist--in CR or the US--with a perfect roster of satisfied patients. Every dentist has some patients that are unsatisfied with their experience. It's just a matter of digging deep enough to find them. There are numerous reasons for unsatisfied patients. Sometimes, the dentist or his lab just had a bad day. Dentists are only human, after all. Some patients exaggerate the problems, and--here's a news flash--it's not just dental clinics that lie; some patients lie too. Sad but true. And some problems are really no one's fault; they are sort of acts of God. Lacking omnipotence, there's only so much even the best dentist can do when faced with such cases. 10. This dentist in CR has the most fantastic web site I've ever seen. I just know he's my perfect dentist. Who needs to research when it's love at first sight? 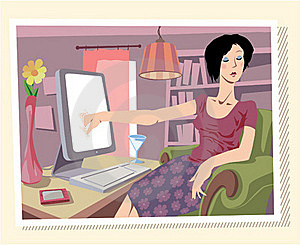 Don't be seduced by beautiful web sites. Many dentists in CR have beautiful web sites. The web sites are created by third-parties that specialize in creating elegant business web sites. The quality of the web site doesn't necessarily reflect the quality of the dental work that goes on in the clinic. My free advice: Of all dental tourists, you especially need to do due diligence on your dentists. 11. I had to cross this one CR dentist off my short list because he doesn't answer all my emails. If he doesn't respond to me now, how can I be sure he'll respond if I'm his patient? Dentists are under no obligation to personally answer your emails or provide treatment plans. They do so as a courtesy for their distant patients. Before you see your dentist, you are just a prospective patient; he doesn't really owe you anything (except possibly to tell you the truth, which they don't always do). Once you see him for treatment, you become an established patient, and he has ethical and legal responsibilities to you. In my experience, there isn't much of a correlation between how well a dentist treats his prospective patients and how well he treats his established patients. I have heard of dentists who roll out the red carpet to prospective patients, but turn a cold shoulder to established patients if problems develop. My own dentist ignored some of my early emails (possibly because I wrote a lot of them as I'm a difficult patient), but now that I'm an established patient he answers them. Also, keep in mind that dentists frequently travel or have emergency responsibilities at the clinic that prevent them from immediately returning email queries. 12. I'm comparing prices of CR dentists. What should I consider? Just compare apples with apples and not apples with oranges. Some clinics will include other services in a quote for free (such as extractions when quoting an implant). While most clinics quote prices as paid by credit card (and often offer a 5 or 10 percent for cash payment), a few clinics quote cash prices (and charge more for paying by credit card). 13. Is it true that CR dentists will give me a treatment plan for free? Yes, many dentists will work out a treatment plan or plans for you. They do this as a courtesy. It's the dentist's prerogative as to whether or not he wants to work up a treatment plan for you. Please don't abuse this: Limit the number of clinics you ask for treatment plans to a reasonable number, such as two or three. 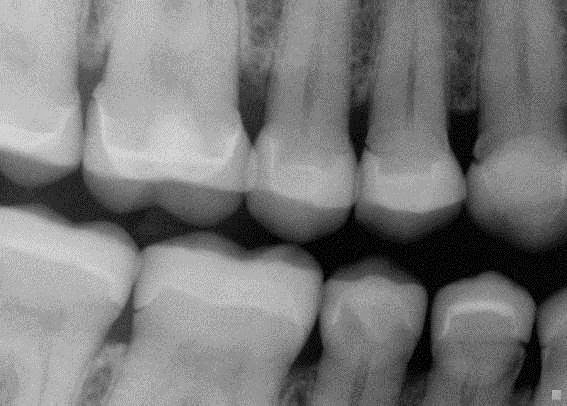 Working up a treatment plan from emailed photos and x-rays requires a lot of work and thought from the dentist. I recommend doing some research on the clinic before asking them for a treatment plan. Let them know that you're interested especially in them. 14. Can I get quotes for dental work in CR? Yes, most clinics will be happy to give you a price list. The office staff can easily provide this if it's not already on their web site. Or you can email them a list of the procedures you want, and they should be able to quote you prices and a total. It is much easier for a dentist to prepare a quote based on a prospective treatment plan than to develop a treatment plan from scratch. 15. Do dentists in CR guarantee their work? My "faves" (Dr. Prada and DDS; CRDT; and the Cavallini clinic) have good guarantees. They generally offer to re-do work that is not satisfactory. (In my research, all three of these clinics have done so. Dr. Prada re-did a crown of mine that kept on falling out. 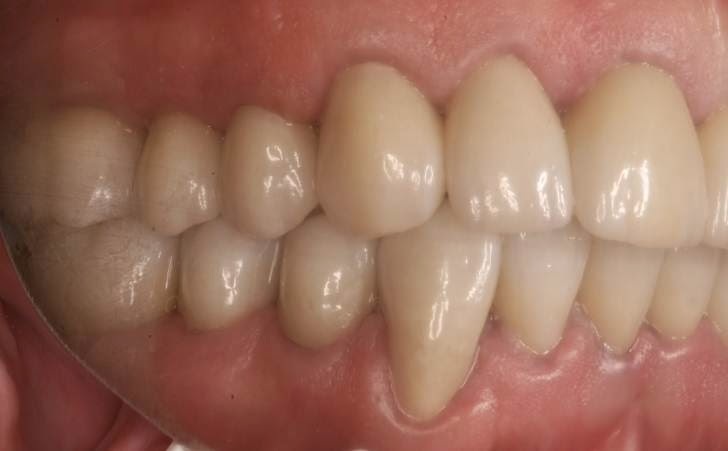 He once told me he re-did a full-mouth restoration that failed because the crown material failed too early. The Cavallini clinic has also re-done work on occasion. They used to offer a dental insurance policy that would pay for a trip back to the clinic, though I think they had to revise that. CRDT offers a ten-year guarantee, described in some of the links on their main page here.) Contact the clinics directly for their current guarantee policy. I haven't researched the guarantee policies for Dr. Anglada/Dr. Castro or for Nova Dental. Many other clinics in CR also re-do unsatisfactory work. Of course, the dentist re-doing the work is the same dentist (usually) that did the work in the first place. So be careful in whom you choose. I, personally, would never go back to a dentist if I thought the problems stemmed from his carelessness. By contrast, I don't know of any local U.S. dentists that routinely re-do work that is unsatisfactory. And don't tell me it's because 100% of their patients are happy. 16. Are there bad dentists in CR? 17. How do I know which dentists to avoid? Having learned this lesson the hard way, I now choose only top dentists. I would suggest you do the same, regardless of whether you're looking to have your dental work done in Costa Rica or in the US. Who needs dental work that's merely average? will dig up a lot of negative reviews. That's your cue to stay clear of that clinic. 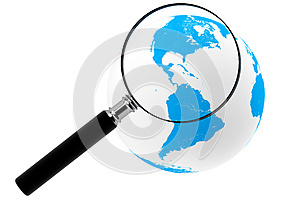 See my post on searching the Internet. 18. A CR dentist gave me a lot of good references. I talked to some on the phone, and saw other testimonials on the Internet. But then I found a bad review on the Internet. Should I scratch this dentist off my short list? Maybe or maybe not. A lot of negative reviews about a dentist is definitely a bad sign, but one or two negative reviews--in the context of a lot of positive reviews--probably doesn't mean much. Negative reviews sometimes do not reflect problems in dental care. Sometimes the outcome is just plain bad luck, and sometimes--gasp!--people on the Internet have hidden agendas of their own. Try to contact the poster and find out the back story behind the problem. It's crucial to establish the credibility or lack thereof of the poster. The basic questions I try to ask patients are: Was the dentist rushing or taking short-cuts? Did he refuse to handle follow-up requests? 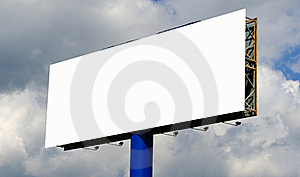 Some reports are posted anonymously, making it impossible to contact the poster. I tend to ignore these, whether positive or negative. Who knows the motivations of the poster? I suspect that jealous competitors are behind some of these. Finally, if the negative review really torments you, you might be able to get some (private) clarification by contacting the clinic directly. Here's the bottom line, in my opinion: Internet research can provide you with leads and sometimes even help you identify the most mediocre clinics. But for finely focused questions, it's good to talk with patients directly. 19. I am very busy and don't have time to research CR dentists. What would you advise me to do? I would send you to the dentist whom I know best: Dr. Prada and colleagues at DDS dental. After you make your appointment, you can book your hotel reservations at the hotel across the street from Dr. Prada's Escazu office, the Villas del Rio Apartotel. This is one of my favorite hotels. The hotel staff is very gracious and dependable. Their courtesy shuttle will pick you up from the airport when you arrive, and it will take you back when you're done. They have a little convenience store in the hotel compound, and you can exchange dollars for the local currency at the front desk. There are less expensive lodging possibilities available. Rod mentioned one of his favorites on his own blog when he visited Dr. Prada, and some are discussed on TripAdvisor. 20. If I didn't want to see Dr. Prada, whom would you then recommend? I would expect you to talk to former patients from any dentist(s) who intrigued you. 21. What's the single most important take-away message from all this? When considering general dentists, talk to or email multiple patients who had work as complex as the work you are considering. For general dentists not on this blog, I'd suggest talking with at least four or five patients. For my thoughts on dental tourism agencies, see this post. 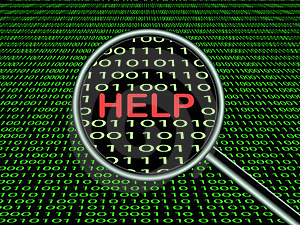 See My Favorite Internet Resources: Press Here. 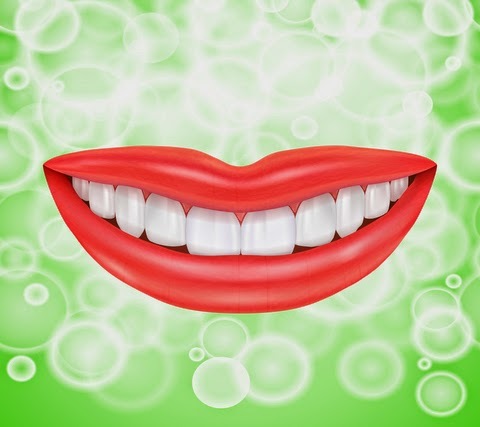 What do you think of dental tourism agencies? I think dental tourism agencies have their place. They can be very helpful with transportation and lodging choices, but I'd be cautious about allowing them to pick my dentist for me. I used a hospitality agency on two of my trips for transportation, but the agency played no part in my finding or choosing my dentist. By contrast, on my very first trip to CR, I was picked up by an associate of Costa Rica Dental Team, and afterwards took taxis from the hotel to the other clinics during this fact-finding trip. Many agencies claim to help American tourists find top dentists in CR. I discount these claims as mere advertising hype, but some people apparently take these claims seriously. I'm concerned that these agencies might overcharge or steer patients to less-than-ideal clinics. Clients of some agencies could pay less by contacting the clinic(s) directly. I always suggest doing so, without an intermediary. This usually guarantees you the lowest price and allows you to research dentists at your leisure. 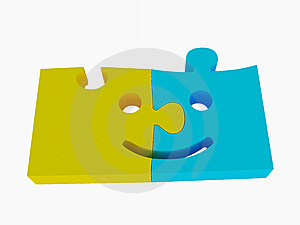 I think that adding an agency merely adds another layer of complexity to the process of choosing a CR dentist from afar. Some agencies deal with good dentists, so the only thing a patient has to worry about is overpaying. In the grand scheme of things, overpaying is not really a big problem. Far worse than overpaying is the possibility of being steered to dentists based on what's best for the agency and its associated dental clinics rather than what's best for the patient. I think there can be a built-in conflict of interest here since many agencies are paid commissions by the dental clinics themselves. The temptation for agencies and clinics to put their own needs before those of their clients and patients concerns me. Some patients have reported that they paid no more for their dental work by using an agency than they would have paid by dealing directly with the clinic. Maybe so. But someone has to be paying the agency for their services, and so the dentist must be paying the agency a percentage of the client's charges. Does not the agency have a financial incentive to steer clients to such dentists? I think it's the responsibility of you, the client, to learn how the agency selects its dentists. I don't keep tabs on agencies in this blog. Some dentists in CR don't deal with agencies. In my visit with the Cavallini clinic in November 2010, I was chatting with Dr. Marco ("the son") by the front desk when an agency called asking for him. Dr. Marco told him to get lost, in a firm but polite way, and then turned to me and said he doesn't deal with such agencies. Apparently, this was not the first such call he ever handled. Wouldn't you prefer that all the money you fork over for dental work go to the dentist himself, rather than being siphoned off by a third party? Just saying. If you're a dental tourism agency and you think I have unjustly maligned your industry, feel free to post a comment. Bottom line: If you are considering dental clinics recommended by a third-party, you should still research the clinic and talk with former patients of the clinics as discussed above. I've been to Costa Rica five times, but I haven't brought back many pictures; I always had more pressing concerns on my mind. 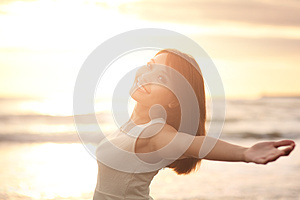 So when I had to find artwork for my blog, I had to rely on stock photos. 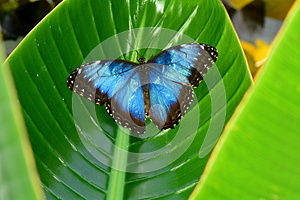 One or two photos are borrowed under free Creative Commons licenses and the rest are licensed. 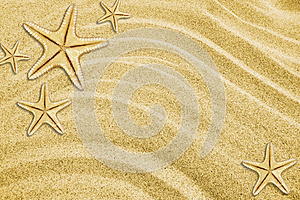 I started out with a couple of photos from iStock, but soon switched over to DreamsTime.com, which is my favorite stock photo web site. 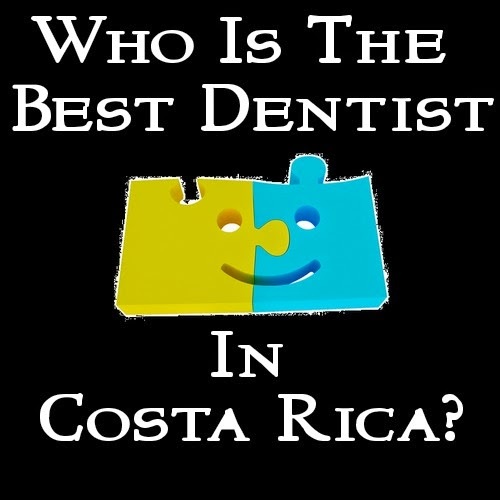 One of my favorite photos on this blog is the "Tiled Smile" image for the post labeled "Who is the Best Dentist in Costa Rica?". It looks familiar; I must have seen it before on one other professional website. I was happy to spring the $13 and claim it for mine. This page is to help keep track of my photos and to give credit where credit is due. 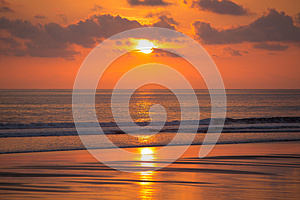 Photos on this blog without attribution are either from the author's camera or are properly licensed stock photos. a pic is worth a thousand words, how much are twelve pics worth? BEFORE. All these "before" pictures are of my old crowns, which were 16 years old when these photos were taken in December 2010. The crowns were placed in 1995 by a North Carolina prosthodontist who liked "Dicor" as a crown material. You can see chips on the upper incisors (circled). These chips were caused by age and wear of the old crowns. I wish I could show you photos of my original teeth, but such photos don't exist. The North Carolina dentist tried to take them, but they got lost. Or something. This was an harbinger of trouble to come. AFTER. All the ''after'' photos were taken in April 2011. I like that all the crowns have unique shapes. This material is ''Prettau'' zirconia, which is solid zirconia with *no* porcelain facing. It was chosen for strength and durability rather than appearance. Even so, I am very pleased with these crowns. People interested in aethetics should consider emax or porcelain-fused-to-zirconia, which are more lustrous and even prettier than Prettau. 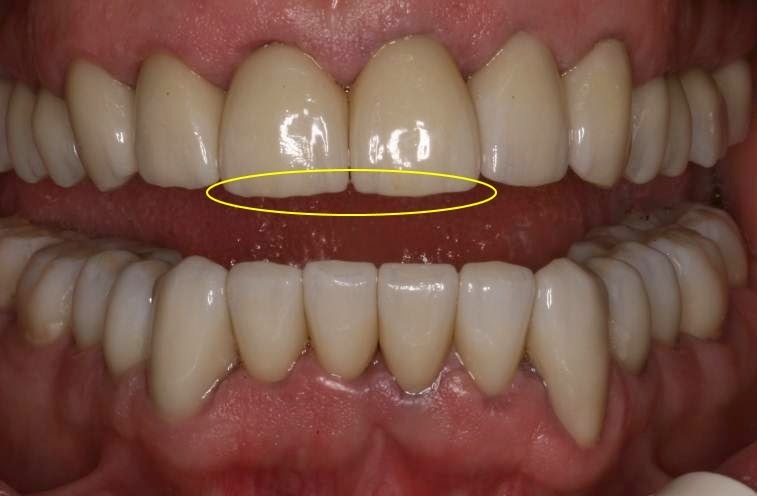 Look at the natural gum line on the upper teeth (circled) and compare that with the gum line in the previous photo. That ''before'' gum line really isn't natural at all. (Google images of real smiles, and you'll see how important a natural gum line is for a beautiful smile.) If you look really carefully at this photo, you'll notice that the upper teeth are ever so slightly darker than the bottom teeth. Had I noticed this before they were cemented in, I would have asked Dr. Prada to send them back to the lab. This crown color is ''B1,'' the lightest natural color in the yellow hue. If I had to do it again, I would go even lighter and probably out of the yellow hues completely. The dentist was Dr. Vinicio Prada of DDS Dental in Costa Rica. All these crowns were made at Lorenzo Favini's dental lab, for which I paid a $75/crown surcharge. BEFORE. 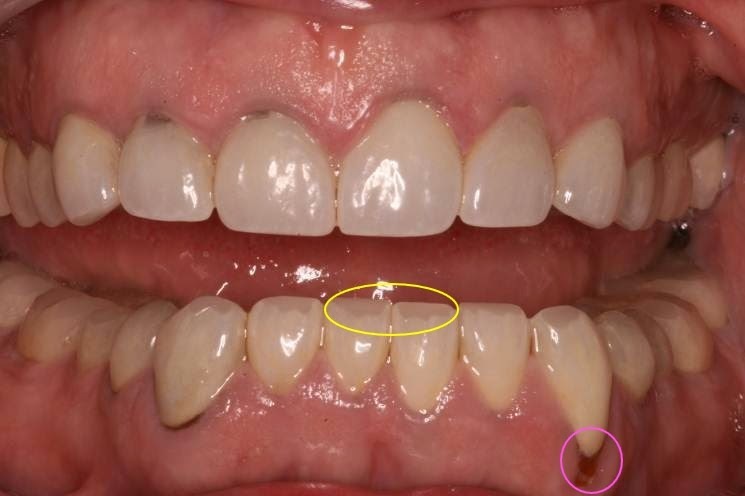 This photo shows severe wear on all the lower incisors (yellow circle), and a deep gum pocket (pink circle). The gums are unhealthy throughout. Telltale gum inflammation can be seen around most teeth. AFTER. Notice how long the new crowns are. This photo shows the subtle shading on the teeth: Look at the two central incisors on this and photo #2. Near the gums the teeth are shaded yellow to look natural. Dr. Gonazles did crown lengthenings all over to accommodate my short "preps" (tooth stubs). (The dark lighting makes the gums look very red and the top surface of the molars look dark. In fact, the gums are light pink and the tops of the molars the same color as the front.) Dr. Gonzales did a gum transplant to fix the pocket while I was under sedation for the crown lengthenings (normally this is an expensive procedure, but he did it for free). Finally, notice that the biting edge of the incisors is not perfectly straight but has a wavy pattern (circle). This was done on purpose. Lorenzo thought that this looks more natural, and I didn't have a preference. 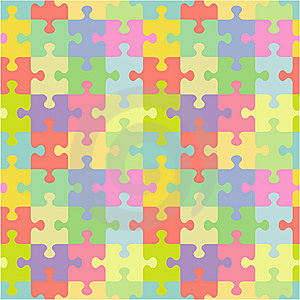 But I'm sure he can accommodate anyone who wants crowns with perfectly straight edges. 5. Top. Before. Back teeth. BEFORE. 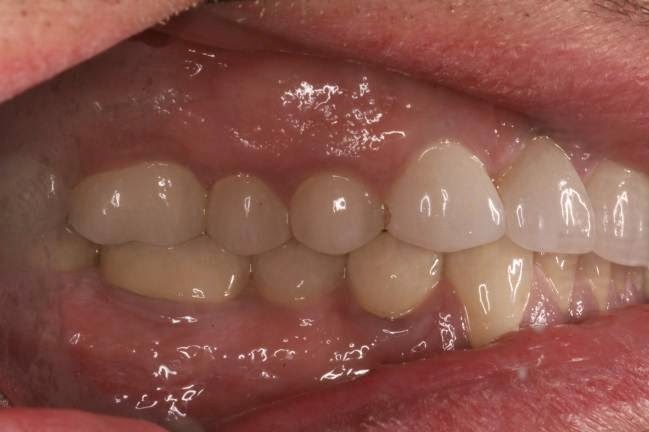 Showing severe gum inflammation in the back, and motley crowns. BEFORE. Another shot showing inflammation around crowns in the back. BEFORE. 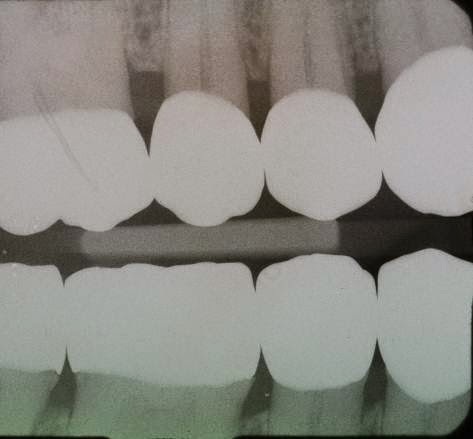 Bite-wing x-ray of molar teeth showing poor margins on some teeth (arrows). These were a defect of the original crowns and were not due to the age of the crowns. BEFORE. Bite-wing x-ray of more teeth showing more bad margins. I count six really bad margins, and a couple of questionable ones. How many do you count? AFTER. 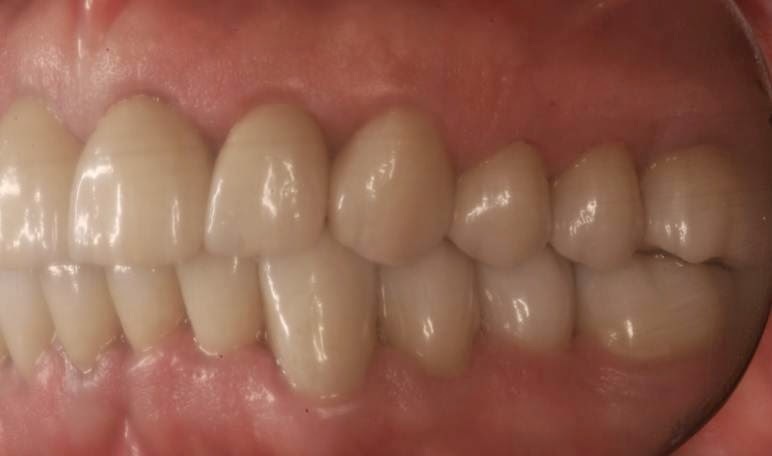 The same teeth with the new crowns showing excellent margins. ow that we're together, here's your chance to pick my brains. Go ahead, I'm ready. 1. What is the purpose of this blog? 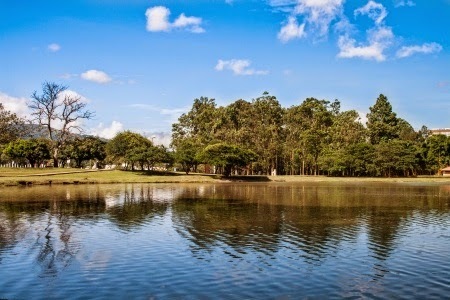 To share my own story, and to give me a place to post my comments on the Costa Rican dental scene. 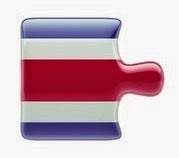 I also want to encourage folks to think of Costa Rica for their major dental needs. Yet at the same time I want to gently steer them toward the better clinics and away from the mediocre ones. These two goals are something of a mixed message, which is reflected in the visual themes I've chosen for my blog. 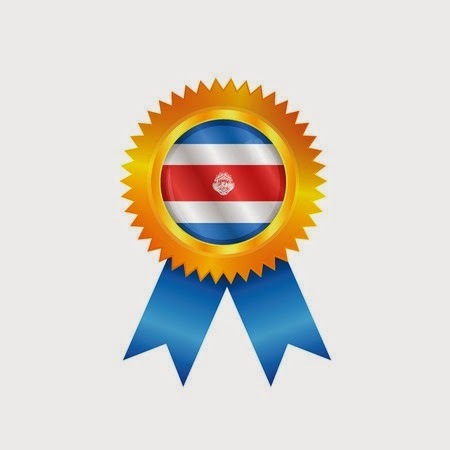 The award medals signify the fine dentistry available in Costa Rica, and the puzzle pieces are there to remind readers to do their own research to find their perfect dentists. 2. My local dentist warned me to stay away from Costa Rica dentists. Was he wrong? Not entirely. Sadly, there is a lot of mediocre dentistry going on in Costa Rica. But Costa Rica has a lot of great dentists, too. It would be a shame to throw the baby out with the bathwater. 3. There are hundreds of dentists in Costa Rica. 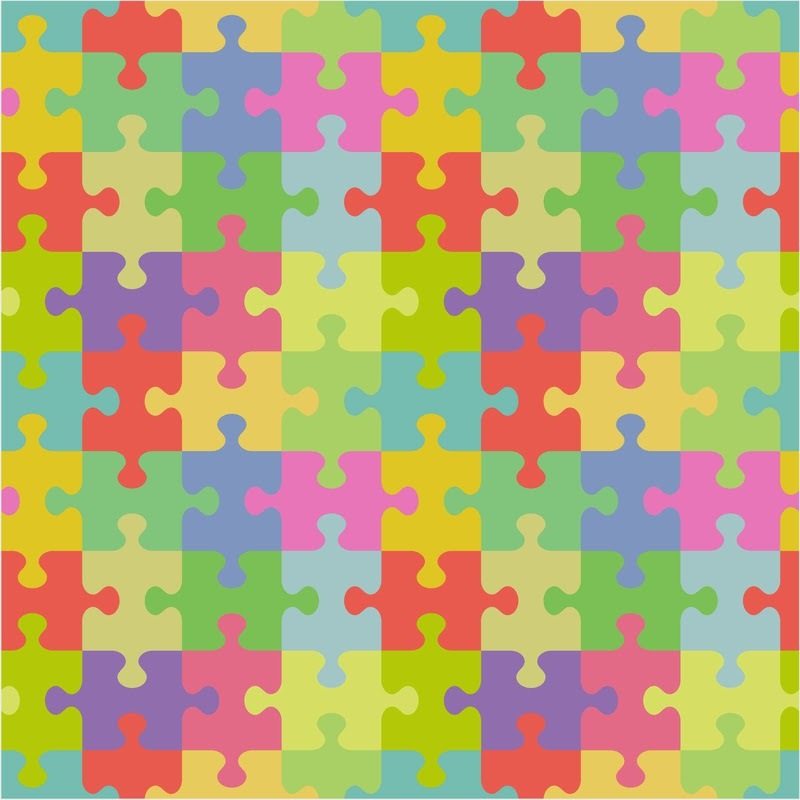 Why are so few of them discussed on your blog? I only discuss dentists I have a lot of information about, and the information is overall very positive. 4. Why not tell us which dental clinics to avoid? That's not the purpose of this blog. I'm trying to keep it upbeat and cheerful and hopeful, and that requires my limiting my discussions to select dental clinics. Plus, I just don't have enough lawyers on my staff to handle blowback from negative reviews. 5. 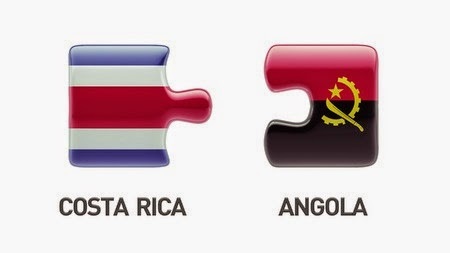 In your opinion, how do Costa Rica dentists stack up against US dentists? Well, of course, it's hard question because every country has its share of both medicore and excellent dentists. I'm not aware of any scientific surveys of dental excellence, so I'll just have to give you some of my subjective feelings on the issue. Consider Dental Excellence on a 0 to 100 scale. (I really like these numeric scales.) The advantage of bringing numbers into this discussion is that it permits me to talk about quality when it varies widely among dentists. I would rate the dentists described in (1) to (4) above as 90 and above. I leave it as an exercise to the reader to figure out precisely where each dentist stands in the range 90 to 100. The point is that these are all excellent dentists. I would rate the average general dentist (*excepting* those mentioned above) in Costa Rica as probably a 60 to 70. This reflects my personal bias against general dentists. I would rate the average general dentist in the US as probably a 70 to 80. I think that the "typical" US dentist is better than the "typical" Costa Rican dentist, even though the variation among the dentists in each country is huge. 6. You rate all the dentists on this blog as 90 or above. Do you think that they're all equal in quality? I think they differ somewhat in quality, but that they are all excellent dentists. I tend to think that my own dentist, Dr. Prada, is a little better than many of the others, but you should take any opinion from any patient about his personal dentist with a grain of salt. As I mentioned, I have less personal knowledge of Dr. Obando and Dr. Anglada, but they are rated highly on the Internet. I think that it is the duty of each prospective dental patient to do his or her own research to find the best dentist for him or her. But if you pick a dentist on this list, I'm not worried for you. 7. So, what I'm really wondering is, Who Is the Best Dentist in Costa Rica? There is no single CR dentist who is the Best Dentist for every patient. The dentist that best matches your own specific personal needs and preferences is the best dentist for you. 8. How do the dentists on this blog measure up against my local neighborhood US dentist? I suspect that in general the dentists mentioned on this blog are better than your local dentist for complicated procedures like implants or full-mouth restorations. I have nothing against US dentists. In fact, I hired one in 1995 to do my full-mouth restoration. Please use your local US dentist if he's your best choice. There are many superbly capable dentists in the US. If you are fortunate enough to know one, you should be proud to let him (or her) do your dental work. That said, I should mention that Costa Rican dentists have a built-in advantage over most US general dentists. 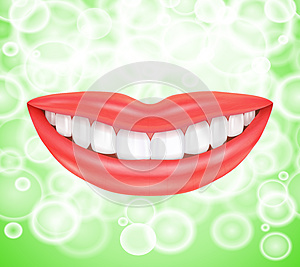 The dentists on this blog do complicated cases day-in and day-out. After all, patients don't travel to Costa Rica for teeth cleanings; they travel only when they need major work. If "practice makes perfect," as the old saw has it, then Costa Rican dentists should be a select group indeed. 9: How do prices for dental work in Costa Rica compare to US prices? Prices in CR are 50% to 70% lower than US prices, and often the work is of better quality. For example, one specialty clinic charges a less than $2000 for an implant including crown. Many US dentists would charge $4000 to $5000 for the same thing. Of course, the lower prices are partially offset by the costs and inconvenience of foreign travel. 10. How do the prices of CR specialists compare with those of CR general dentists? Specialists charge more, perhaps 50% more for comparable work. There's a fair amount of variability in prices though, so check with your clinics for exact prices. 11. 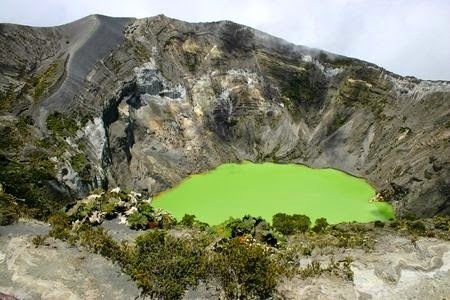 How does the quality of the work done in Costa Rica compare with that of US dentists? If you stick with the top CR dentists, your work should be better than what you could obtain at most local US dentists. This is a major theme of this blog. 12. 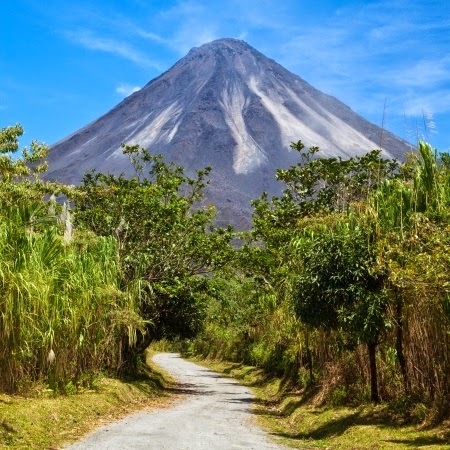 How safe are dental offices in Costa Rica? I've heard rumors about problems with disinfection and sterilization procedures. Procedures are generally the same as in the US, with the same autoclaves and other equipment used in the US. Obviously, I can't vouch that this is the case in every single CR dental clinic, but it is certainly the case in the overwhelming majority. I've talked with scores of real CR patients--by phone, by email and in person while in CR--and this topic has never come up with real patients. It only comes up on Internet boards. This myth has a lot of staying power. I continue to see it, though less frequently now than four years ago. Some of the photos posted by patients or by clinics show dental assistants sterilizing supplies. 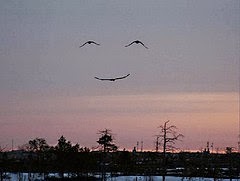 There's nothing like photographic evidence to ease one's mind. Once you're at the clinic, you'll immediately see how serious and professional everyone is. So stop worrying about this. 13. 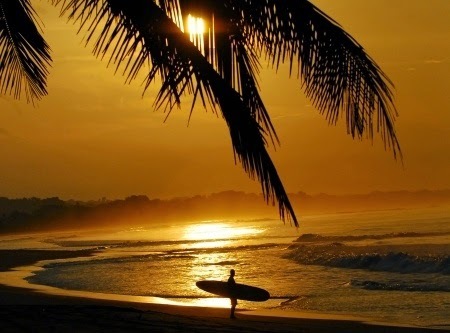 Is travel in Costa Rica as safe as in the US? I feel quite safe when visiting CR. Then again, I'm careful by nature, and I've been to CR five times. But let me say a few words, because I'd feel badly if any reader of this blog got hurt in CR. Costa Rica is different than the U.S. For one, the infrastructure isn't as advanced as in the States, though it is slowly improving. For example, not every area has sidewalks. There are some potholes in a pedestrian path in Escazu about half a mile away from Dr. Prada's office. I could see careless tourists stumbling into them, especially at night. Motoring in the country is more challenging, so I'm happy to play it safe and not drive. Some more daring tourists, like RJ, have rented cars with success. Culture differs too. It took me a while to learn how to cross busy streets without crosswalks. (It's a matter of timing one's run.) I myself have had no problems with crime, but the topic does come up. Reports of pickpockets show up occasionally on Topix. During a visit to CR, a fellow guest at the hostel lost his wallet while dancing at a nightclub, which was obviously not a prudent thing to do. I'd like to hang onto my wallet, so I keep my credit cards and bills in a neck purse when in CR. It's much more secure than a wallet in a back pocket. 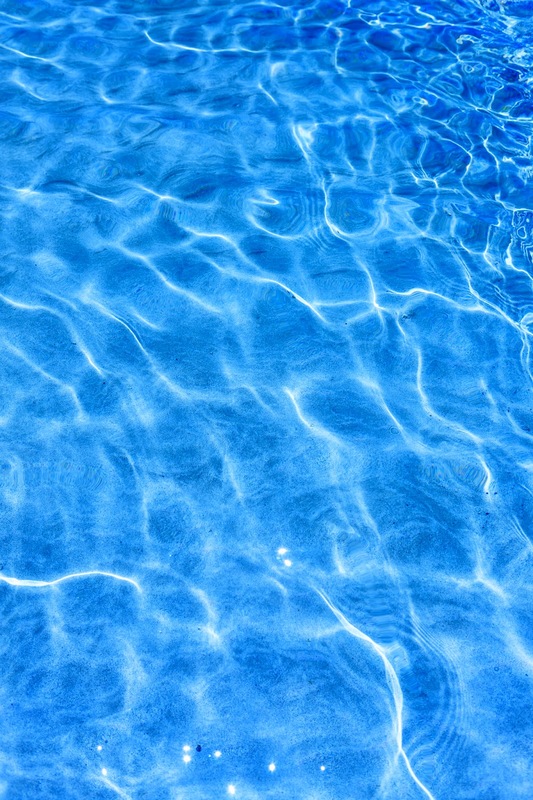 In July 2013 a guest at my hotel told me about a serious accident involving a US tourist. A few years earlier, he said, a young man on a rafting trip was killed when a branch struck him in the face. What a tragedy. I imagine that such a trip in the U.S. would have been more closely supervised. Realize that CR is not the same as the US. Keep your eyes open and use common sense, and you'll be okay. 14. Has CR dentistry changed in any ways since you first visited there? Yes, I think it has--and for the better. There have been improvements in both dental materials and in procedures. 15. What improvements in dental materials have you heard about? 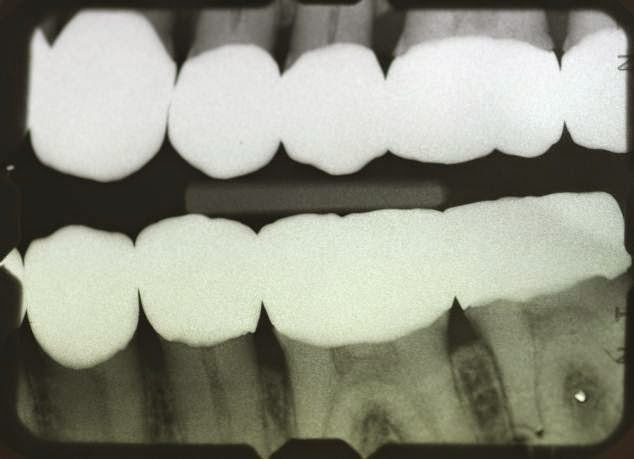 In my visits in 2010 and 2011, the most aesthetic type of crown material was porcelain fused on zirconia (PFZ). Zirconia "cores" are strong, white, and opaque. They reflect light and look great behind a facing of translucent porcelain. 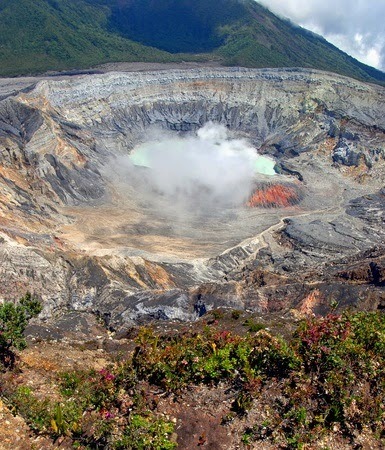 Costa Rica attracts dental tourists from all over for its zirconia crowns. In the past couple of years, a new material--e.max--has stolen the title of "Most Aesthetic" from PFZ. There have been major improvements in another material, called "full-contour zirconia," which is a solid zirconia crown without a porcelain facing. The enamel look is built into the material. My own crowns are of this type. The brand name is "Prettau," made by Zirconzahn. Local dentists in the US were skeptical of my choice back in 2010, and tried to persuade me otherwise. Their concerns proved to be unfounded. Over the past few years, this material has become more widely accepted in the U.S. There is even an new version of Prettau with improved aesthetics (see TheDentalTourist blog). Another manufacturer has come out with their own competing material. 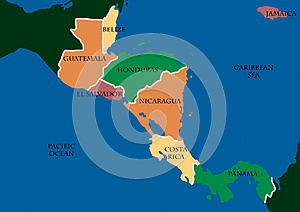 What had been a tiny niche market four years ago has now gained inroads in both the US and CR. The speed of innovation in crown materials is startling to me. All this innovation is great news for dental patients. Everyone benefits when materials become more durable, more beautiful, and easier to fabricate. Finally, a word of advice. As pretty as it is, e.max has limitations and is not the best choice for every patient and every location. I'm not a dentist, and I can't advise you on the best choices for your particular case. I can merely inform you that options exist and that some dentists and some patients are happy with them. 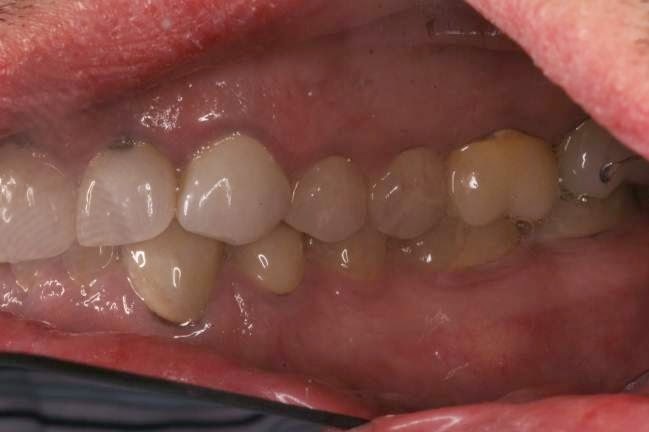 To add to the range of options, good dentists will sometimes use one type of crown for the front teeth (emphasizing aesthetics) and another type for the back teeth (emphasizing strength and durability). It's your dentist's job to advise you on the best crown materials (or implant types) for your particular case. 16. What improvements in dental procedures have you noticed in the past few years? It seems that some of the fancier specialist procedures are beginning to trickle into the mainstream. In the past year, I've heard posters on Topix talk about having such advanced procedures done at some clinics of general dentists. This also surprises me. This advanced, niche procedure has gained greater acceptance in just a few years. I imagine that what has happened to this one procedure means that other specialty procedures are winning greater acceptance also. This is yet more great news for dental patients. As clinics become more and more comfortable with working specialist procedures into their workflow, patients can only benefit. Q and A with Dave about finding the best dentist for you: Press Here.